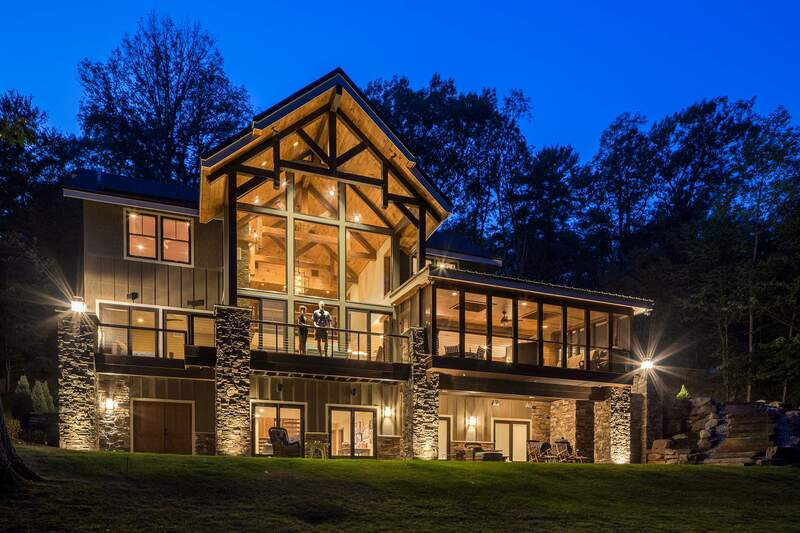 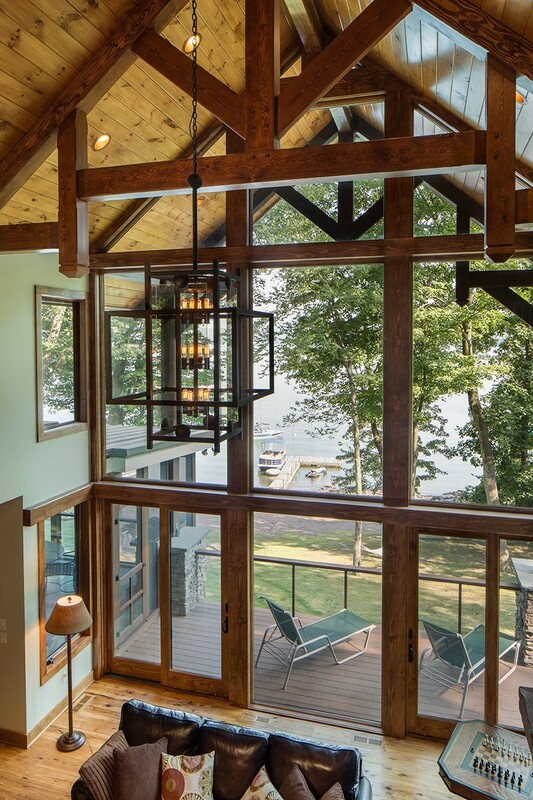 Exposed timber-frame lake home sets both majestically and quietly on its steeply pitched slope. 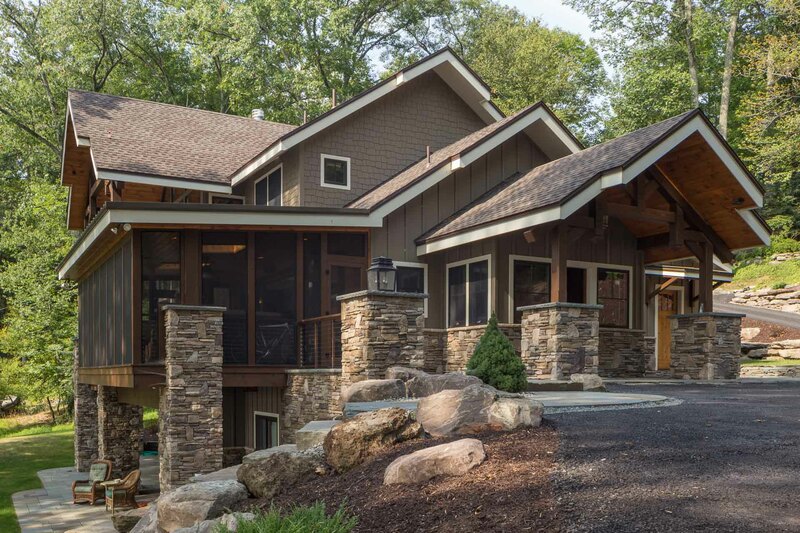 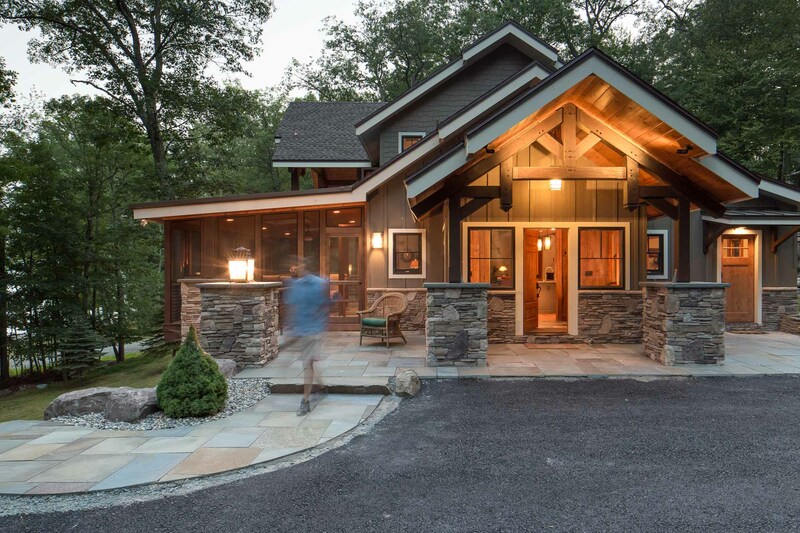 Strategic stonework and artful landscaping fuse the architecture to its surroundings. 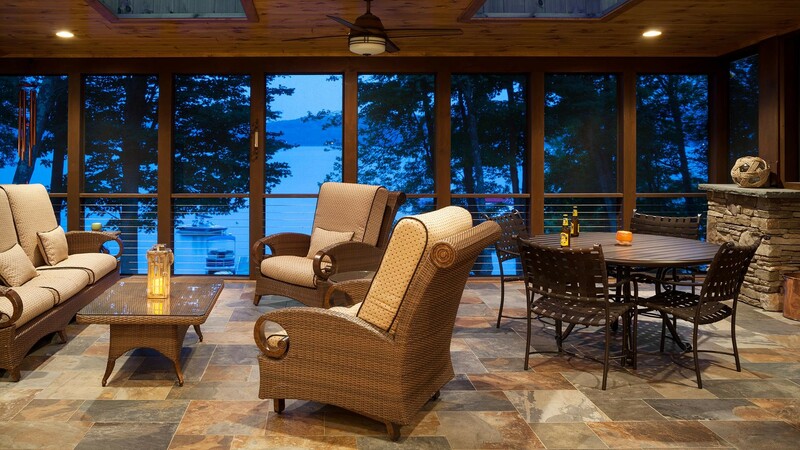 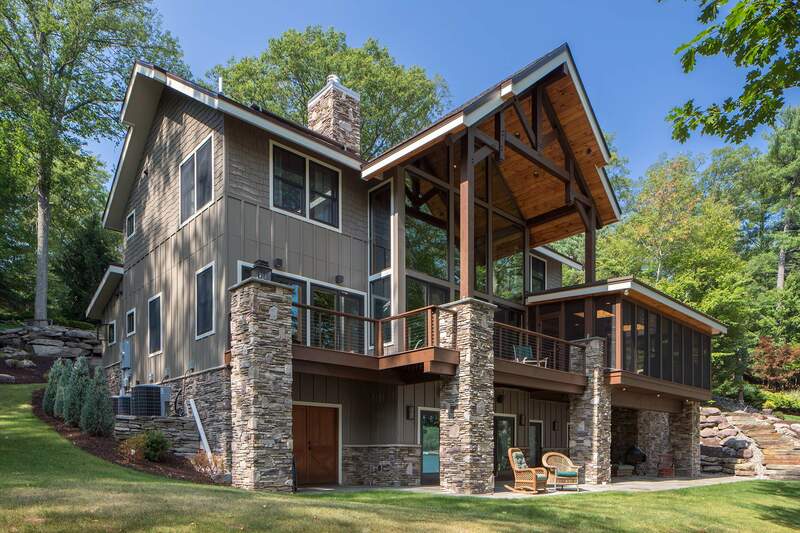 Cool water views constantly beckon from the grand interior spaces. 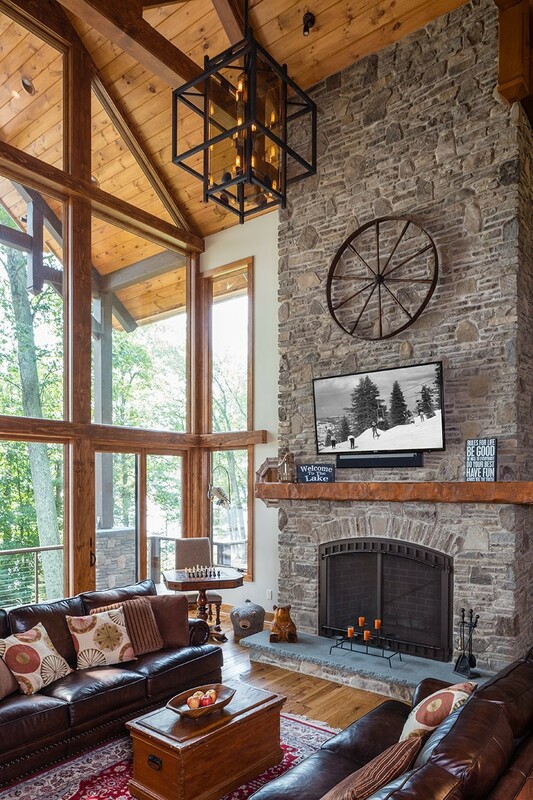 The open plan inside keeps the family connected.